The next In the Groove Music Quiz takes place on Thursday 8th May 2014. 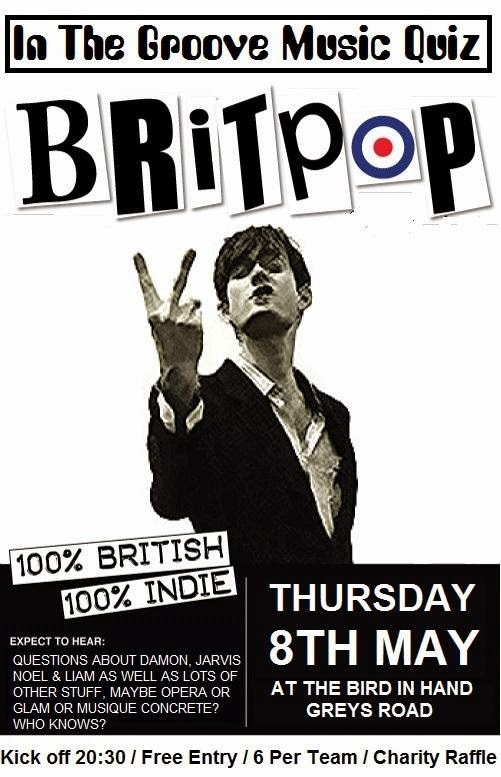 We will be jumping on the bandwagon and 'celebrating' 20 years of Brit-Pop. The last few quizes have been very well attended so please make sure to get there early to secure a good table.